Home Digital strategy What drives API growth? 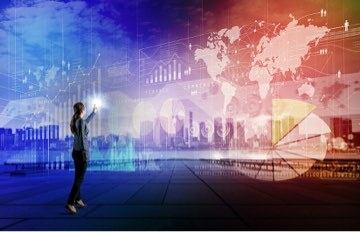 According to a recent IDC research sponsored by Axway, APIs cross the chasm from technology to value-based solutions. Many IT and business managers were asked what is their current and planned use of APIs. Hence value in a business context will become the key driver of API adoption as customers seek value-based business solutions rather than generic API technologies. 49% responded ‘yes’, and 13% plan to in the future. 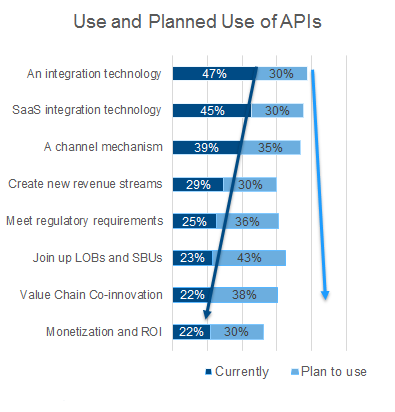 Together these two segments outnumber those not planning to use APIs in this way (28%) by over 2:1. 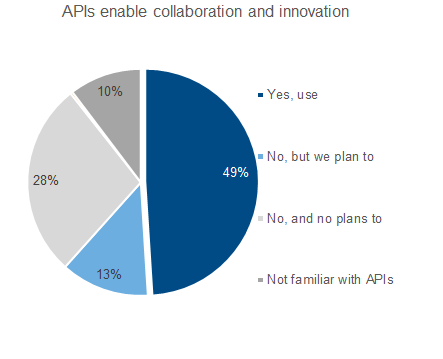 A surprising 10% of respondents were not familiar with APIs. These were comprised of 6% of IT staff and 17% of non-IT staff. The 3 industries where non-IT staff were least familiar with APIs were Business Services, Wholesale & Retail, and Government. Those enterprises that have implemented or plan to implement Customer Experience Networks are much more likely to use APIs to enable collaboration and innovation. These organizations are also less challenged than non-adopters when connecting to external third-party stakeholder systems. Next articleHow and why should you optimize the performance of mobile APIs?